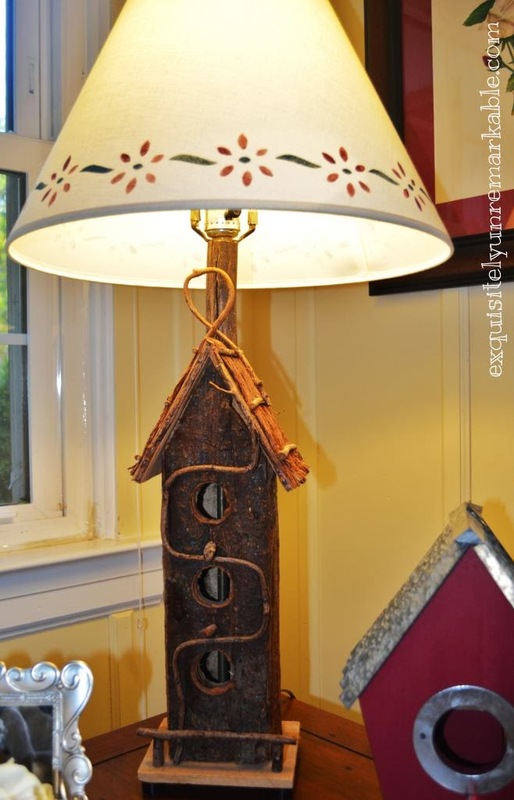 Turn and old wooden birdhouse into a lamp. It's an easy DIY with dramatic results. My husband and I have always made a really good DIY team. I walk through the house and dream and he makes it all a reality, as he is able to build just about anything. Over the years it has saved us countless thousands of dollars in labor costs, not to mention architect and builder consulting fees. By combining forces, we have been able to eliminate a lot of the middlemen. I come up with the design plan and he tells me if it's feasible based on structure and code, then we get busy doing! I really am a lucky girl, as his knowledge and capabilities are extensive. We found the birdhouse for under ten bucks on a shopping spree and knew immediately it could be more. My husband drilled holes in the top and bottom of the house and threaded a pipe from an old lamp through them. Before he cut the pipe, we played around with the shade a bit to see how high off the house it should sit. He added a brand new bulb socket (we used one for a three way bulb) and a new plug and wire for safety, they were all super cheap from the local hardware store. The lamp looked good, except the top of the metal pipe was exposed and we didn't like that. My creative hubby found an oak tree branch on our front lawn, cut it, hollowed it out, stained it to match the birdhouse and slid it over the pipe. He also added black, rubber feet to the base of house to give it enough height to accommodate the plug wire. Next, it was my turn! I had an old, white lampshade in the basement that fit, with regard to shape and size, but it was boring and needed a punch. I grabbed my stencils and my paint and added a little flair to the shade. It was a super simple project, but it adds the perfect accent to our rustic cottage living room. I just love looking at that lamp when I walk by or sit in the room....and even though it's certainly not our greatest collaboration, it's a sweet reminder of our very creative partnership! Thanks Karen, I love birdhouses, too! The funny thing is that I am actually not a big bird fan! ;) Thanks for the comment! Wow! I love your posts! I look foward to reading your posts!! Fabulous!! I love that you two worked on the project together. And from my perspective it really isn't all that simple. Drilling out a branch for the top takes some pretty good expertise and there were a lot of details to make it turn out so well. You are a blessed gal. I certainly am! Thanks for checking our project out, Diane and leaving such a nice comment! I will be sure to share it with him! 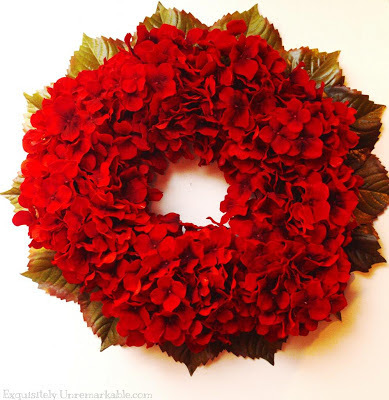 Stopping by from the Google+ Blog Hop! Now following! Hope you’ll stop by The Shady Porch! Blessings, D@TheShadyPorch P.S. Love your blog! Good Afternoon Kim, Gosh, what a talented pair you both are. You are the designer and your husband the project manager. 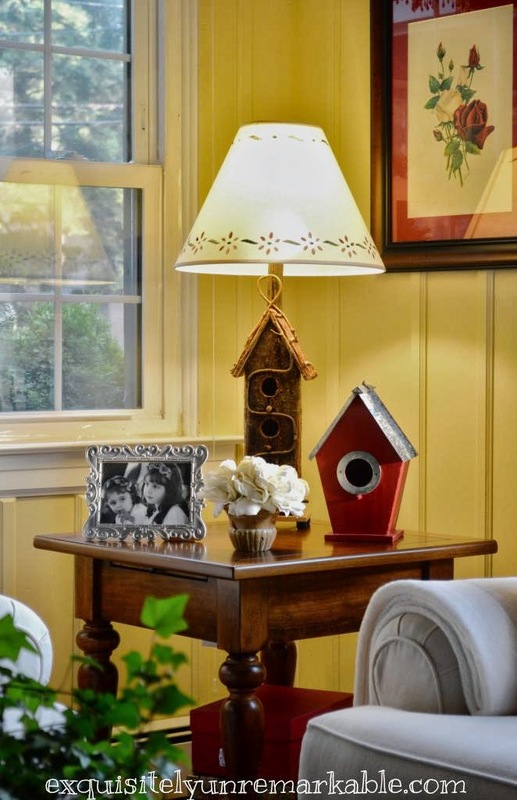 Seriously though, this birdhouse is so lovely. 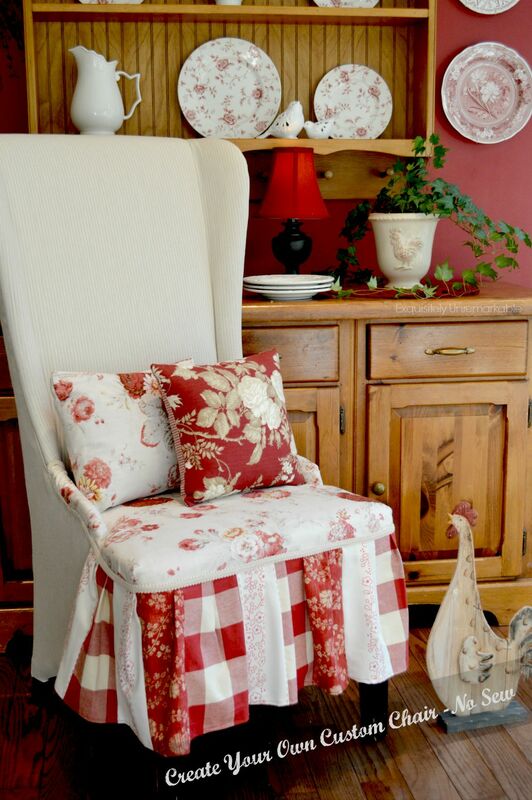 I love finding items and then re-purposing them.... it is such fun. We do work well together, Daphne! We love re-purposing items too! I like it better that way, I enjoy a good story to go along with my décor pieces and I can never resist a bargain! Thanks for the lovely comment! Cute! Nice to have a handy man around, too! That is so adorable! I have one of those "super-talented" hubbies, too -- I'm so in awe of his many talents! Your entire blog looks very interesting (I did a bit of snooping) and am now a new follower! I love snooping Carol! I'm so flattered that you liked what you saw! A lot of it is thanks to that talented hubby! What a sweet project! Great job! This is really cute! My mother would love this. She loves birdhouses and this would be something nice I could make her:) It looks beautiful! What a great idea. I am now following you on Twitter and Google + so I can see all of your great ideas! Thanks! So many kind words and a new follower! Yay! I do really like this one, it's simple, but there's something about it! Thanks for the comments, Shannon! Fabulous! 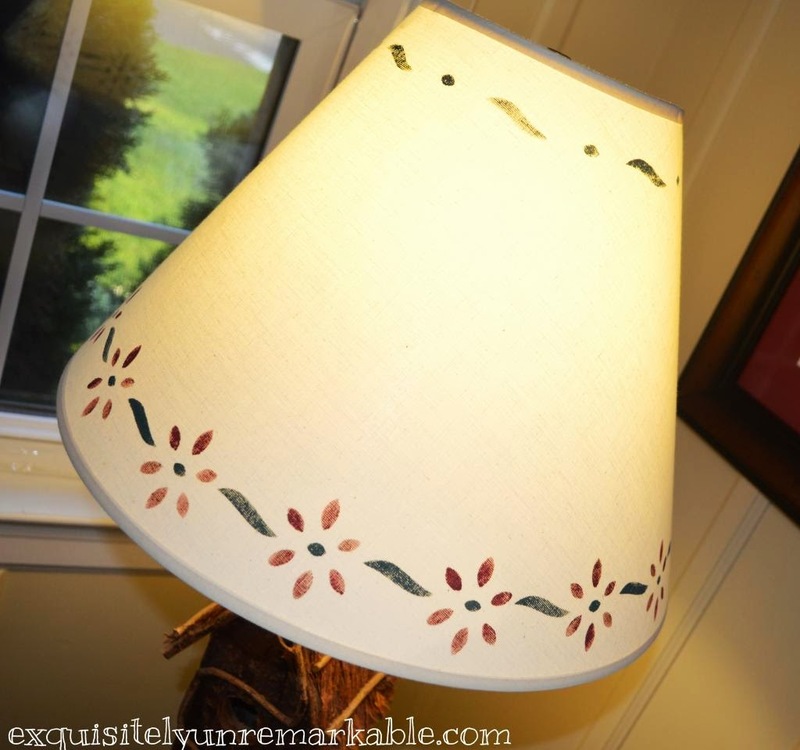 Such a creative way to make a great looking lamp! Thank you Shelia, and thanks for popping by and leaving such a sweet comment! Thanks Elise! Yes, handy is good! I honestly couldn't accomplish half of what I do around here, creatively, without him! Well, I guess I could hire someone, but then I wouldn't be able to afford it! Stopping by via Natasha's today and your cozy corner caught my eye!! How cute is THIS?! LOVE your lamp and the whole vignette; you've got my colours going on! 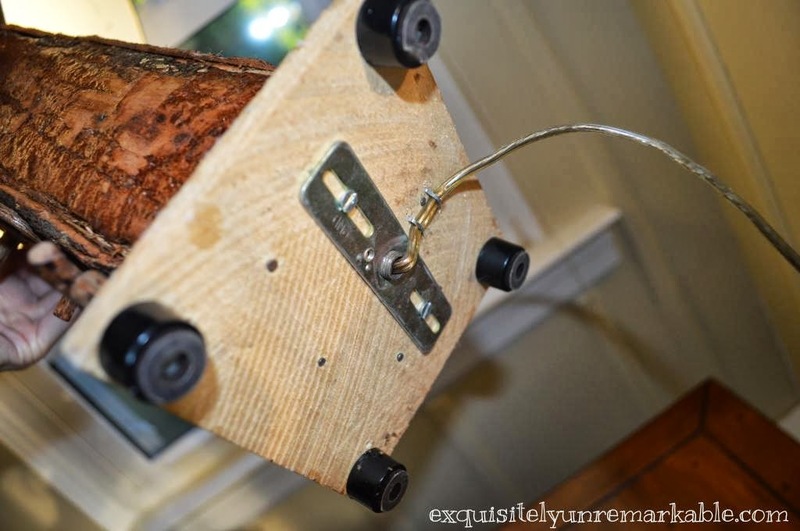 I also linked up a lamp this week - maybe that's what did it! The light bulbs of ideas were shining bright this week! Poppy, thanks for taking a peek! I do love bold colors ~ they are full of drama and romance! That looks so cute! Thanks so much for sharing your post at the Say G’day Saturday linky party. Good read. Your partner’s skills and good workmanship seems to have been utilized efficiently. Thanks for posting. Thank you, Linda! And handy husbands are definitely keepers!! Thank you so much, Maria! It's an oldie, but a goodie.